Camping is one of the best ways to get out of the house and reconnect with nature. You can do it by yourself for some much needed “you time,” and it’s also a great way to spend time with close friends. While camping always sounds like a good idea, it’s also a lot more effort than it seems. With all of the equipment and unpredictability of the wild, more things tend to go wrong than right. 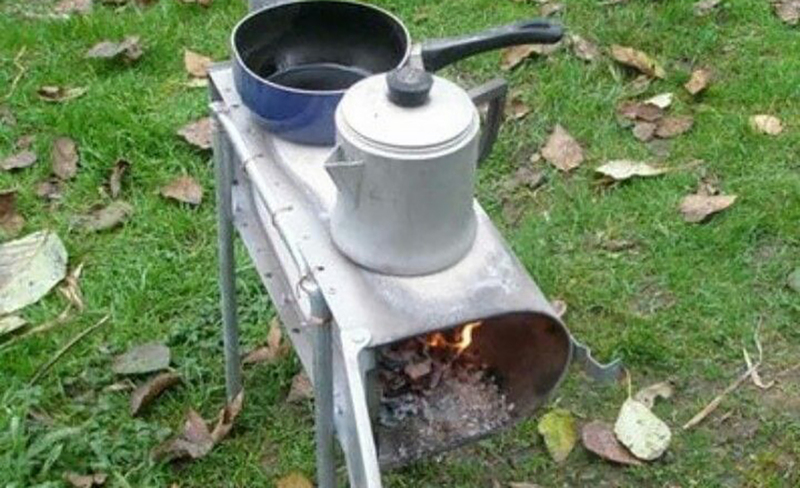 That’s what always makes camping interesting. Take a look at these people making a genuine effort to camp and failing miserably. It’s a fact, setting up and taking down camp — especially your tent — is one of the worst aspects of camping. It’s a lot of work when all you really want to do is go for a hike, sit by the fire, or get the party started. Well, this guy decided to make his life easier and bring what looks like a display tent that you would see at REI. Granted, it may not be the most comfortable or protective form of shelter, but it seems to be working just fine for this guy. Plus, he doesn’t need to set it up or take it down. Most people might opt to camp in an established and safe part of a natural park, but not this man. He wanted to get up close and personal with nature, even if that means coming face-to-face with one of nature’s apex predators. 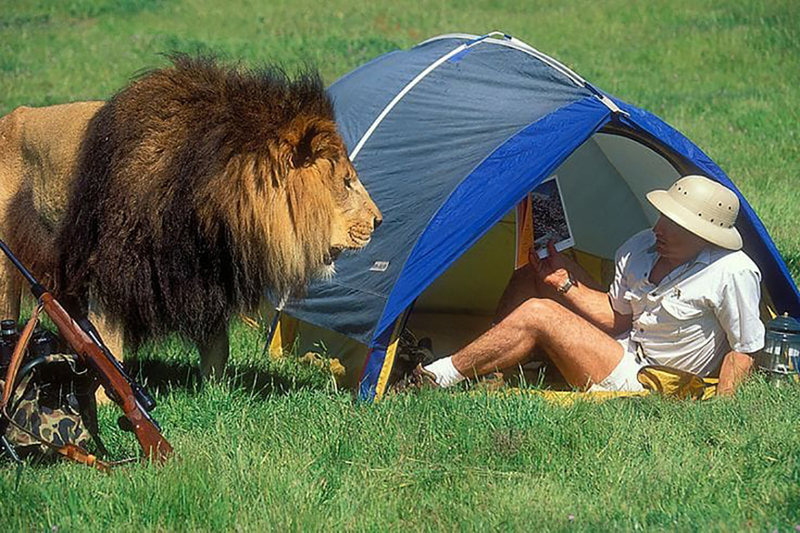 Looks like he was relaxing and reading a magazine only to look up and see a fully-grown lion in his camp. At this moment, he’s probably wishing that his rifle was next to him and not on the other side of the lion. Maybe next time he’ll think twice about where he camps. 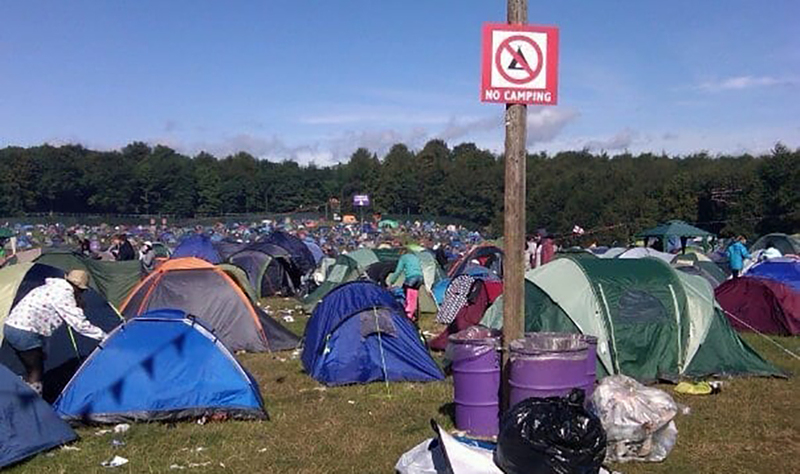 This picture looks like it was taken at a music festival or some kind of event judging from all of the trash and the lack of care for the rules. We can assume that initially, one or two people decided to take their chances and break the rules only for hundreds to follow suit. This probably wasn’t the worst idea because security might not have any trouble kicking out a few campers but wouldn’t have a chance rounding up an army of them. They probably just gave up and let people camp there anyway. For many people, camping always sounds like fun until they get there and realize they’re at the mercy of the elements. Unless you’re this person, there is no heating or air conditioning and you have to deal with whatever is thrown at you. We’re going to assume that the last time this person went camping they were unbearably hot and vowed to never suffer like that again. So, they customized their tent and bought an air conditioning unit to keep their tent at their preferred temperature. Some people may say this is extra and others may say it’s genius. Even with all of your belongings inside and your sleeping area set up, you should always be sure to stake down your tent. 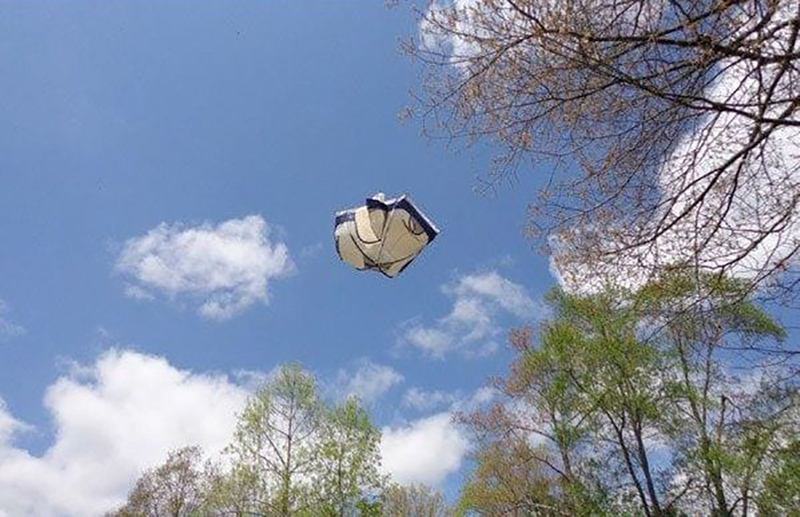 Even if it isn’t windy outside, the wind could pick up before you know it and that could be your tent flying away in the sky. Something that a lot of people forget about camping is how expensive it can get. All of the equipment that you need does not come cheap and often takes years to acquire all of it. It appears this person is still saving up for their camping grill but had an old mailbox laying around. So, they converted it into a grill and by looking at it, we can’t find a reason why it wouldn’t work. Not only will they still be able to have hot coffee and breakfast in the morning, but they also saved a nice chunk of change! Although most people usually bring a car and materials that they don’t care get dirty while camping, this person still wanted to show off his car at the campground. We’re sure this person got to the campgrounds in the blink of an eye, but we wonder how this car did off-roading because that’s not what it’s built for. 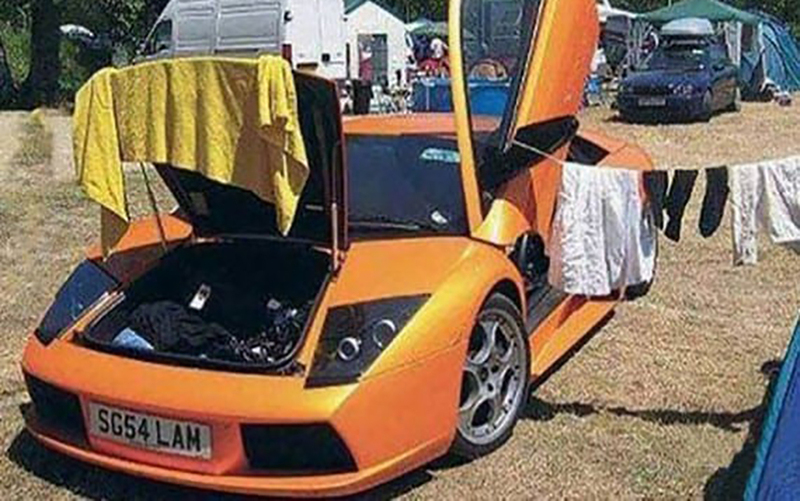 Surely this person could have afforded to rent something a little more practical, but we guess that’s just not their style. At least they won’t have any trouble finding their campsite. 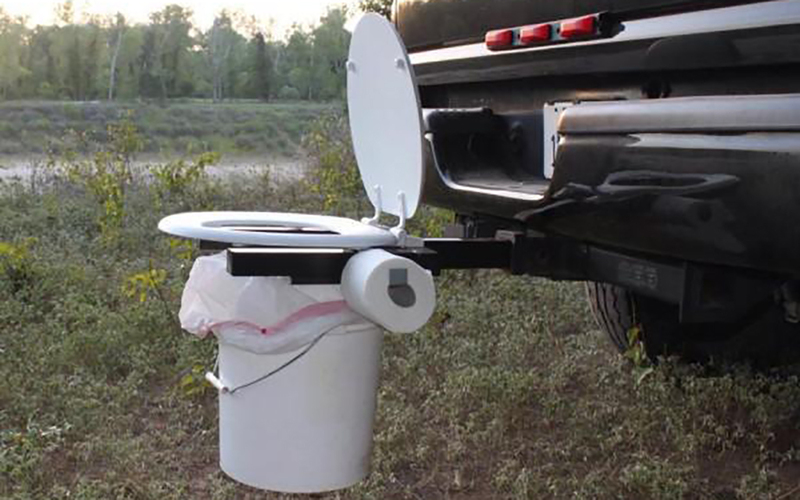 Going to the bathroom in the bush can be a dreadful business for most of us, but not this person. They must be really off the grid if there aren’t any public bathrooms around, or at least we hope they are for the sake of their neighbors. If they are alone in the wilderness it makes sense to put your toilet outside so you can at least have a view while doing your business. We wonder if that attachment on the truck was built for this specific purpose or if it just worked out like this by chance. When camping, it’s important to remember that you’re just visiting an area that all of the surrounding wildlife call home. You’re technically the intruder, so you can’t get mad at the wildlife if they cause problems. These people stepped away from their camp and the bears descended upon it. They must not have followed the proper procedures to protect their food from bears because both of them look like they are getting into something that they can eat. 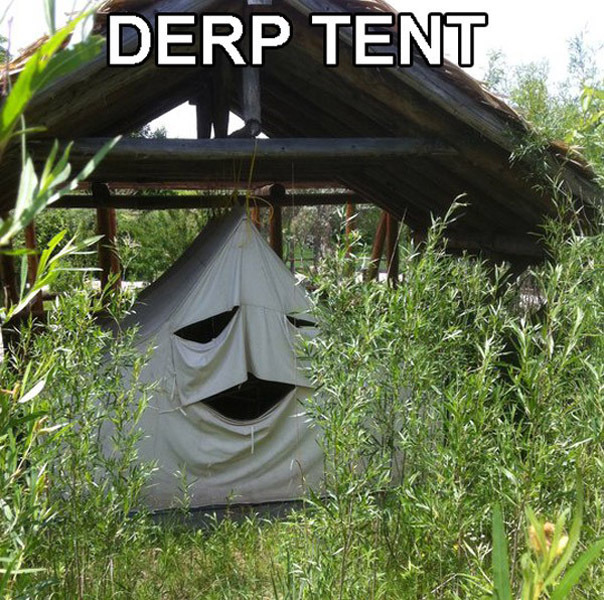 Either that or one of them ate so much it decided to take a nap in the tent. When preparing for a camping trip, there are some essentials that you should be sure to bring, one of these is a tent. While they aren’t entirely necessary, it will make your experience that much better and much more pleasant than without one. 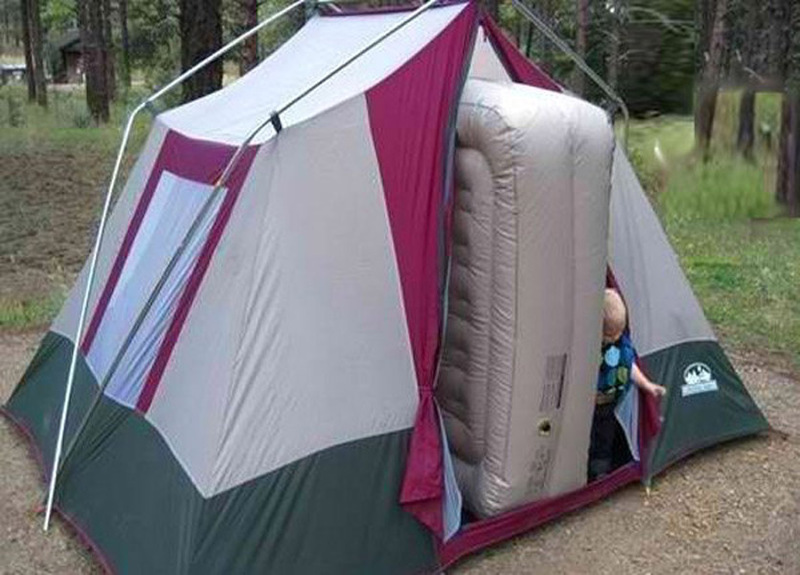 However, when purchasing a tent, you’re going to make sure you get the right size. If you’re going to invest in something, you might as well get the right one. Looks like this girl didn’t check the dimensions of her tent before purchasing and is now stuck with one that’s too small for her! At least she’ll be nice and cozy at night! We can imagine the prior events that led up to this scene. 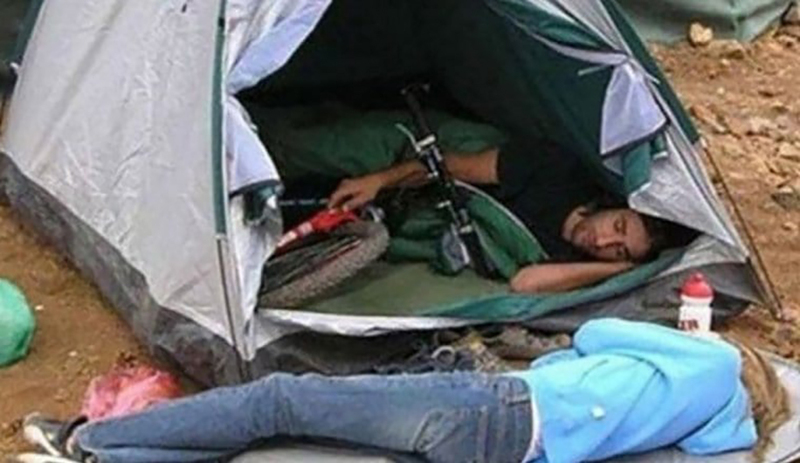 The guy in the tent probably wanted to keep the mountain bike in the tent “so it wouldn’t get stolen,” but most likely because he just wanted to sleep with it. His girlfriend, already annoyed by him, probably gave him the ultimatum that “it’s me or the bike,” and this here is the result. 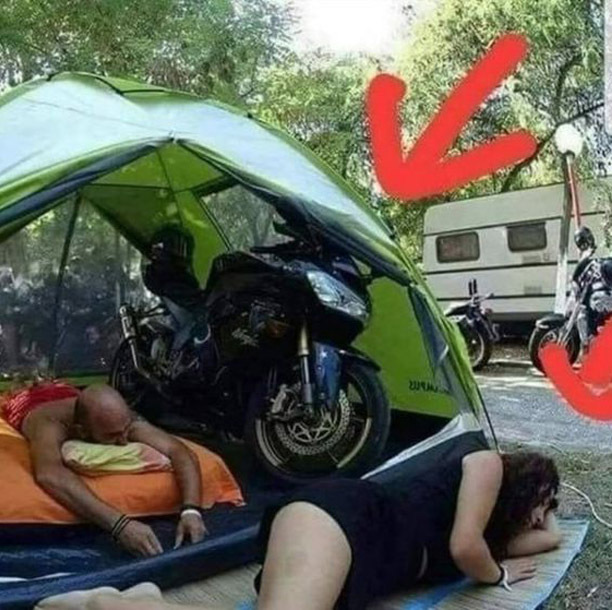 That guy better keep an eye on his bike, not for fear of it being stolen, but for fear of his girlfriend sabotaging it after being forced to sleep outside. Unless you’re camping deep in nature or are on a backpacking trip, you’re most likely sharing a campground with numerous other campers. This means that you have to co-exist within the area with everyone else. That means waiting to get water, sharing a bathroom, being aware of how loud you are, and more. It’s clear that the person who bolted out of this campsite had no regard for anyone else and their carelessness resulted in getting two different tents completely soaked in mud. That’s sure to ruin anyone’s good time. Usually, people go camping to get away from the hustle and bustle of everyday life, especially work. 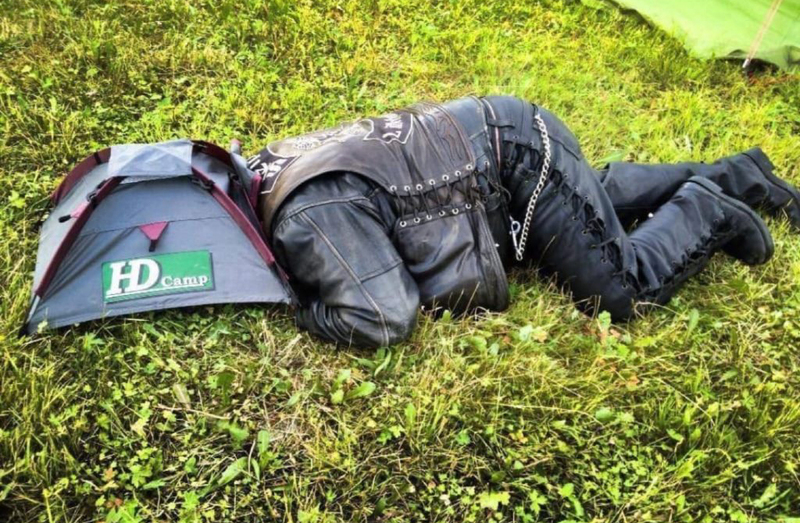 It seems this guy doesn’t have any time to take off work, so he decided that he would bring work with him to the great outdoors. He must have a really good generator in order to keep all of that equipment running. However, a piece of advice would be to put the electronics under the tent instead of himself because if it rains, he’s doomed. 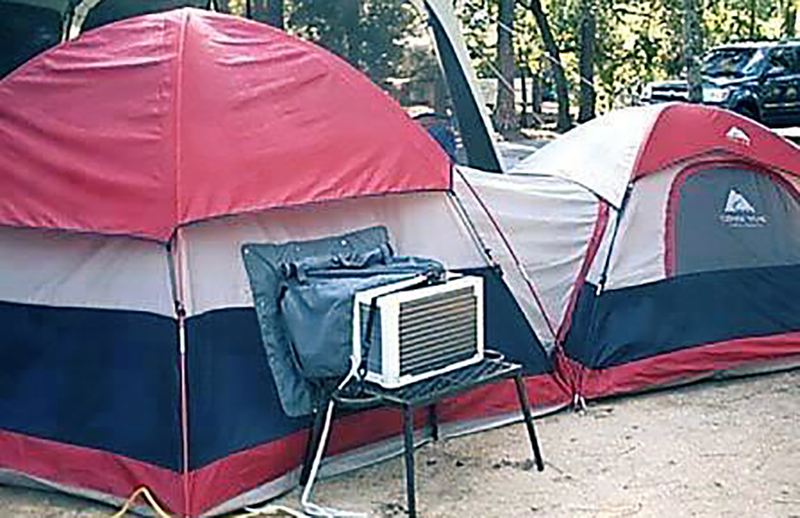 It’s also probably safe to say that whoever he went camping with wasn’t thrilled with his setup. When camping, most people assume they’ll see typical wildlife like deer, squirrels, and maybe even bears. But horses? Not so much. 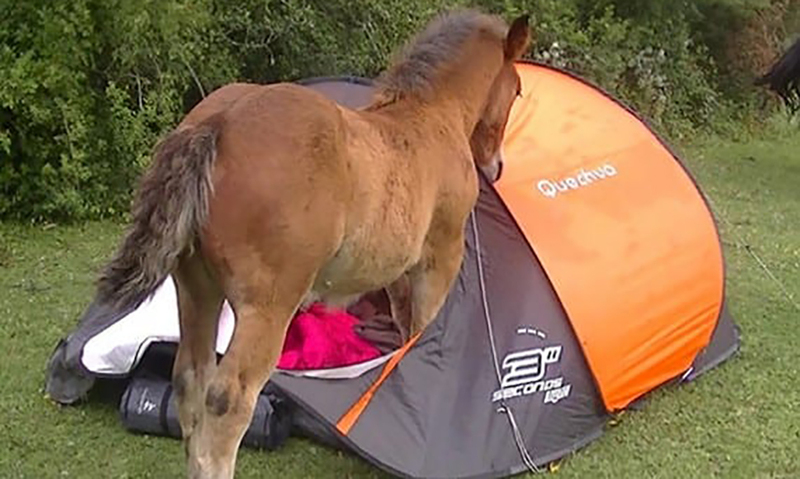 This horse was probably just curious about the tent and decided to check it out for itself. Hopefully, that tent wasn’t very expensive, because it will likely be obliterated by the time the horse is done exploring around. Whoever owns that tent is going to have a hard time getting that horse out of it because it looks like its having fun. Maybe they have some apples to lure it out. There are two types of people when it comes to camping. Those who are willing to “rough it” and sleep on the ground or go days without a shower, and those who refuse to sacrifice comfort just because they’re in the great outdoors. This is clearly someone who deeply cares about their own personal comfort, even if it means potentially breaking their tent. That air mattress is bigger than most people’s beds but there’s still just enough room in the tent for someone to crawl in and sleep on that thing. 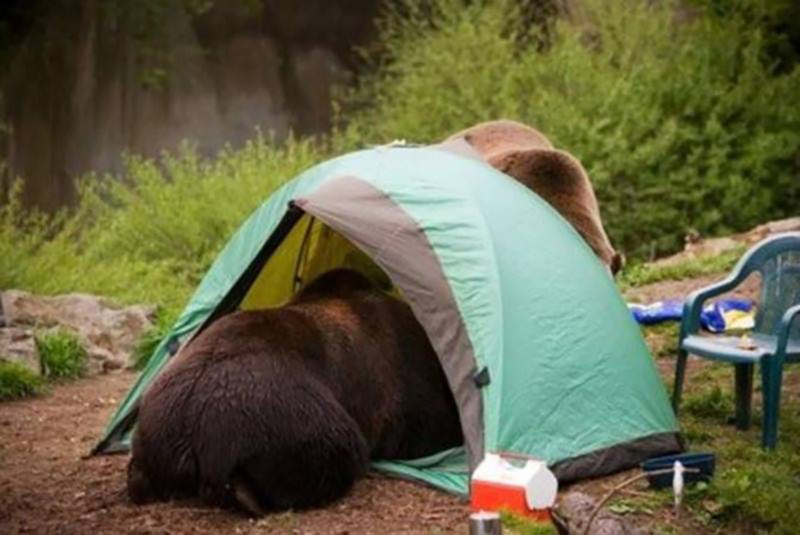 Of course, they probably had to ask a friend if they could put their bags in their tent. 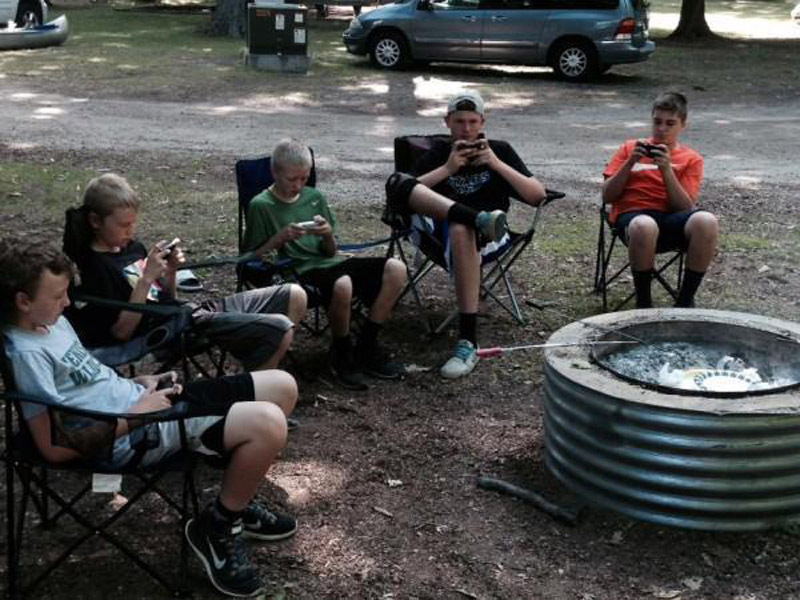 Whoever couldn’t stay away from their technology while camping was taught a valuable lesson: technology and the outdoors cannot coexist. 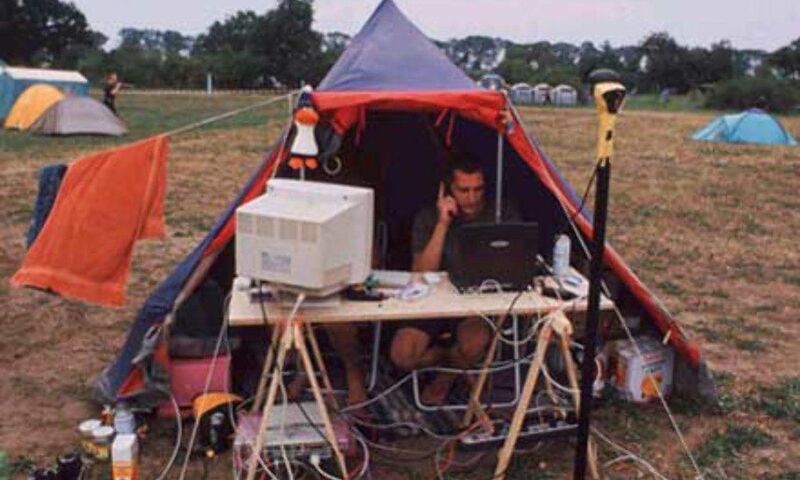 A lot of things can go wrong when camping and adding technology into the mix is only going to increase your chances of that. Take this person for instance, whose phone was dry and working only to be found in a puddle on a chair not long after. When you’re camping, it’s wise to keep whatever technology you brought with you tucked away in a safe place until you absolutely need it. At the end of the day, tent placement is everything. You don’t want to set up on a slope, on top of a bunch of rocks, or in a ravine that can easily become flooded. 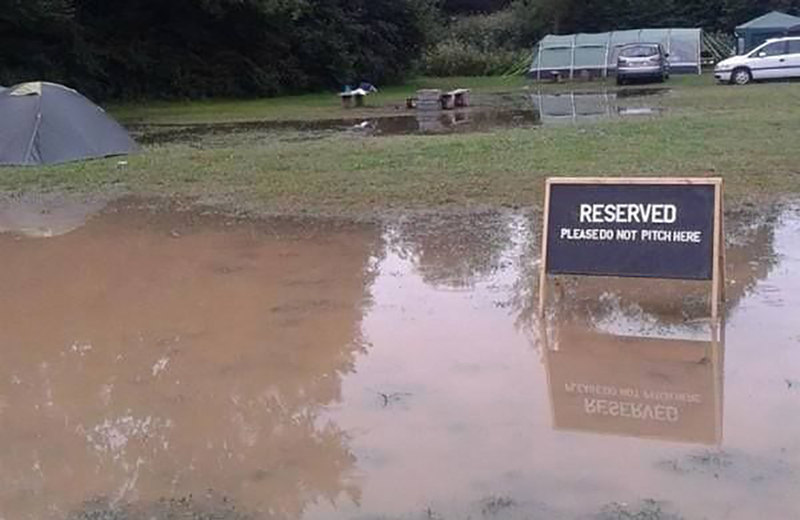 You’ll notice in the photo that all the tents that are flooded are lower to the ground whereas the spot above is totally fine. 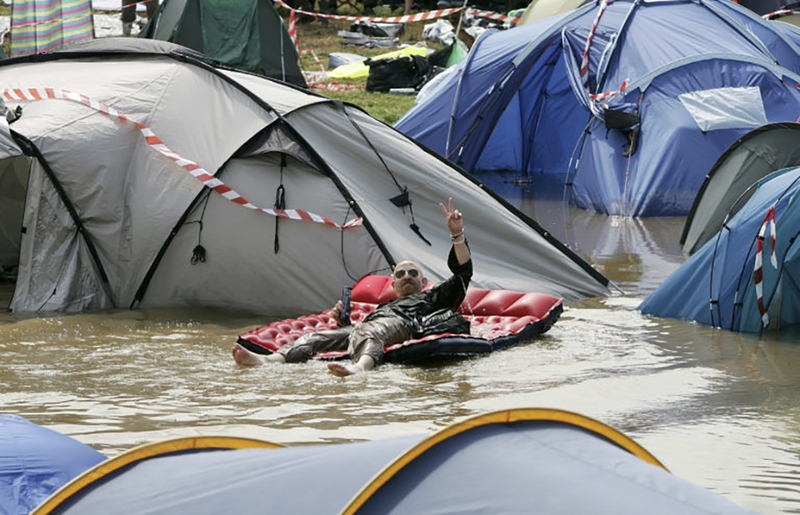 The people whose tents aren’t underwater made the right decision. At least this guy has a good sense of humor and is making the most out of an otherwise awful situation. Beach camping is one of the best kinds of camping out there. You can sleep comfortably on the beach while falling asleep to the sound of the waves and wake up to the gorgeous sight of the ocean in the morning. However, one thing that’s crucial to take into consideration is the tides. So, if you’re trying to camp as close to the water as possible, be careful or you might wake up to a wave crashing into your tent. 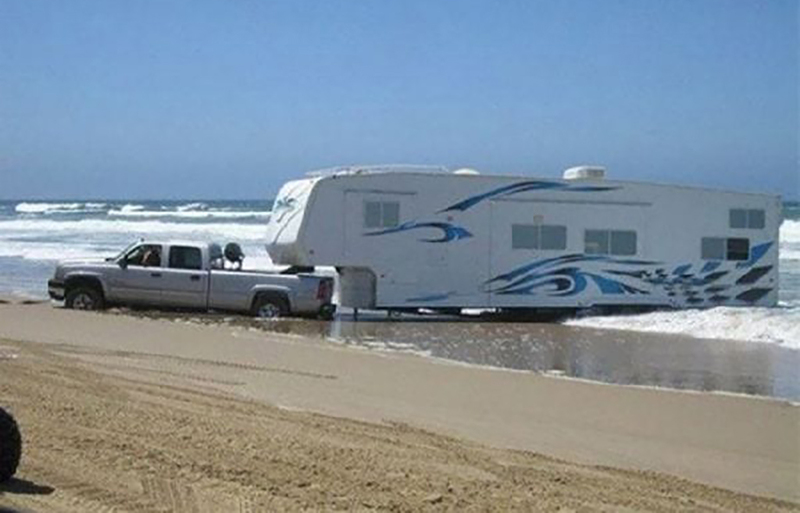 Looks like this guy didn’t think about the tide and now his RV and truck are stuck deep in the sand as the water continues to rise. Good luck with that one. Whoever reserved this campsite thought that they were ahead of the curve and would have the best spot in the whole area. Well, it’s going to be quite the surprise when they pull up expecting a nice, dry, and clean area to set up camp. Yet, it could have been worse and they could have already been there when the site started to flood. Their best bet now is to just turn around, go home, and roast marshmallows in the backyard. We’re not sure how this young man’s entire body ended up in the cactus, but what we do know is that he’s in a world of pain right about now. It’s a good thing that somebody called the paramedics because trying to get all of those spines out of you while camping would be a living nightmare. 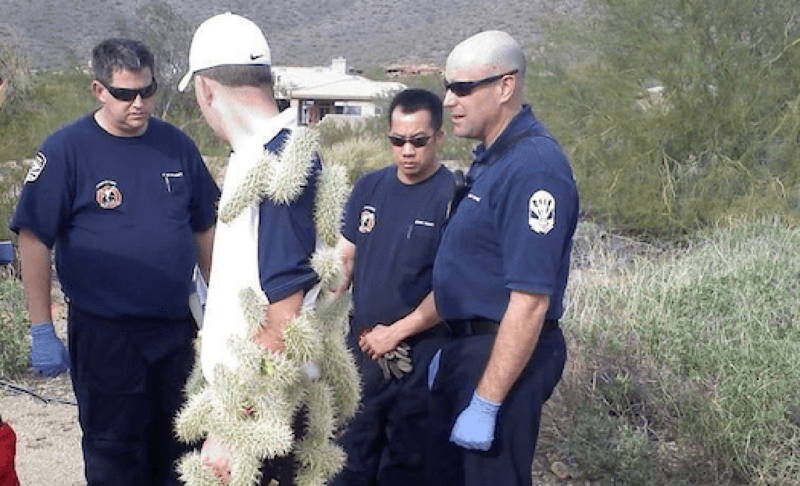 Chances are if he ever ends up going camping again, he’s probably going to request that they camp somewhere far away from any cacti so he can avoid something like this from happening again. You have to look out when camping in the desert! Well, good things don’t last forever. Somethings just don’t go according to plan and this is a prime example. We feel bad for whoever brought this roll of toilet paper because now they have to find something else to wipe with. Wiping with things from the wild makes things a little more interesting. Are you using a big enough leaf? Will whatever you’re using rip as you use it? 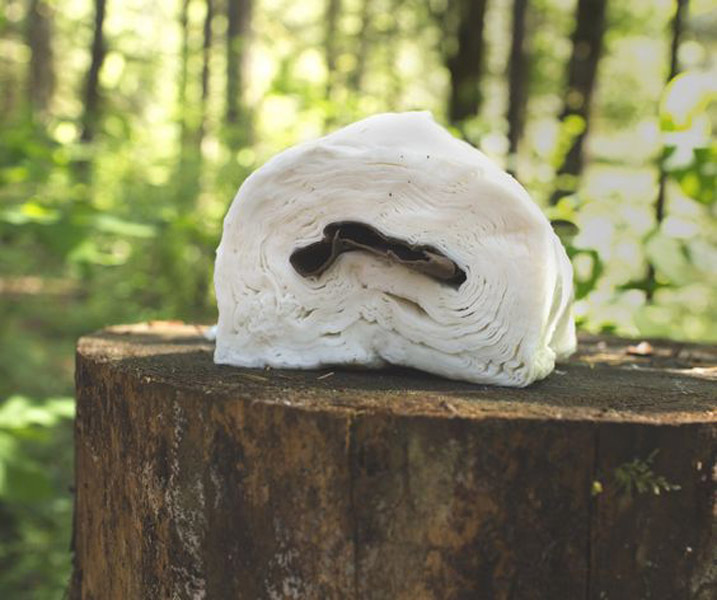 We don’t know, but it doesn’t beat a roll of tolilet paper. 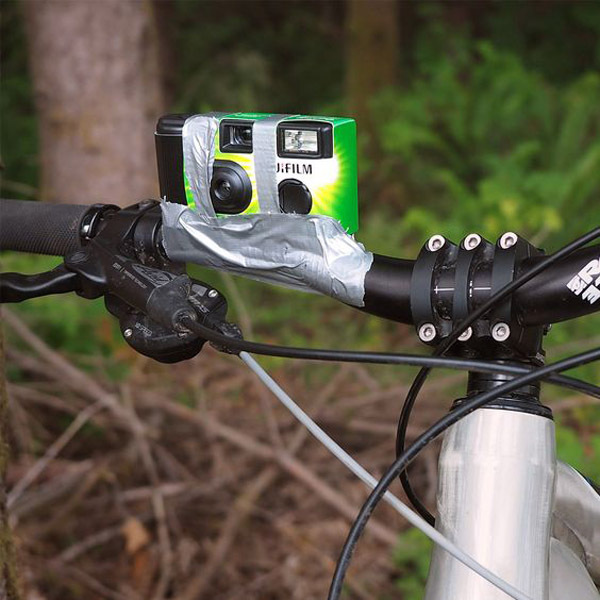 Don’t have the funds to buy a proper GoPro? No problem, the owner of this bike thought of the perfect solution. All you need is some tape, a throwaway camera, and your instrument of choice that you wish to attach it to. Okay, no way this is a good idea. This camera quality isn’t anywhere near acceptable, especially while moving at high speeds. This has to be some type of prank of some sort we hope. 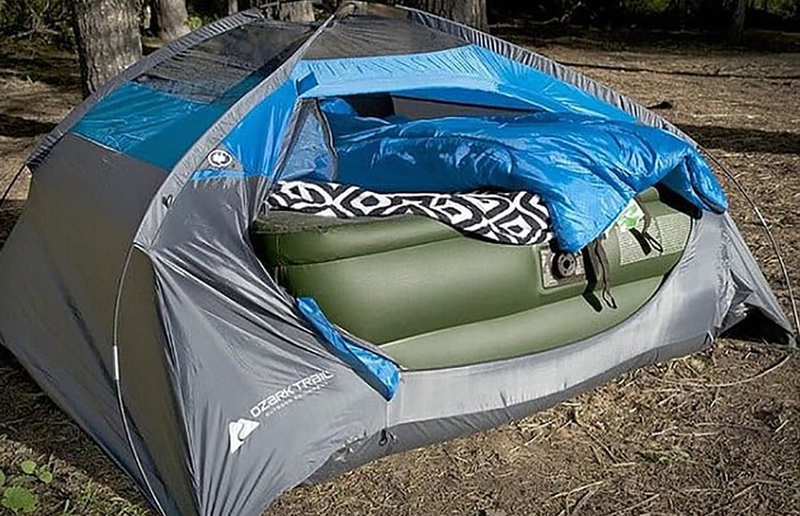 While this might not be the most practical way at getting some sleep while camping, it certainly is a way. However, we don’t think it will do any good for your back. We don’t even advise that you try this at home unless you want to wake up with a sore back. This guy must be down on his luck or his tent vanished. Why would he voluntarily want to sleep in such an obscure manner? Well, this isn’t the ideal way you want to go camping. If this many people are going to be on your camping trip and the group only has one tent, then maybe you should all reconsider. Ending up like this isn’t a good look. How are they even breathing inside of this cramped space? Its probably hotter than the street in the middle of summer out in Palm Springs. No one deserves to go camping like this. Well, we sure do hope these two aren’t in a romantic relationship. This guy clearly cares about the motorcycle more than any person. The least he could of did was put the bike in the trailer or near the others! Making this young lady sleep outside is selfish and uncalled for. If they are in a relationship, we don’t think its going to last much longer. He needs to get his priorities checked before he finds someone else. This is one of the more interesting fails we’ve come across. As it might seem like a good idea at first, overall is just isn’t very efficient. You can’t rely on this tactic because there aren’t always shopping carts in the wilderness. 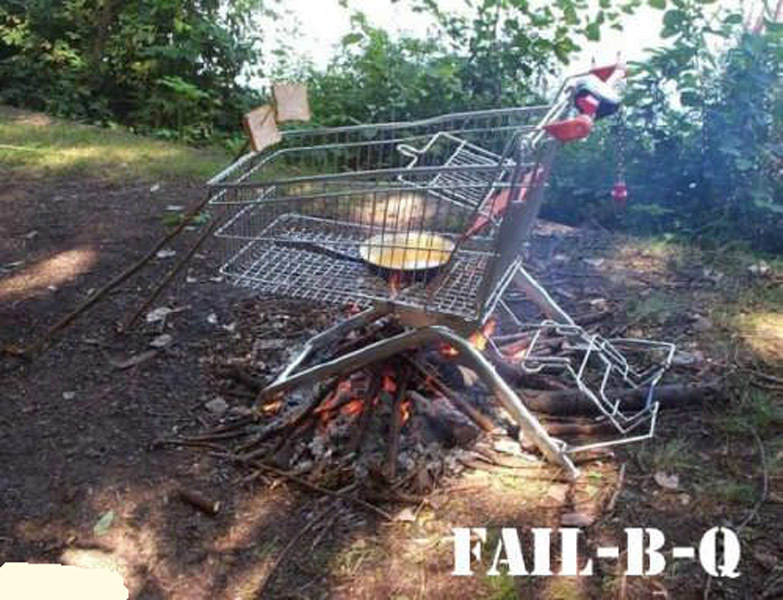 You don’t just step into the wild and see a bunch of shopping carts ready for you to grill with. We’re sorry these people forgot their grill, not sorry they ended up on this list. Well, this might be the end of the trip for some folks. 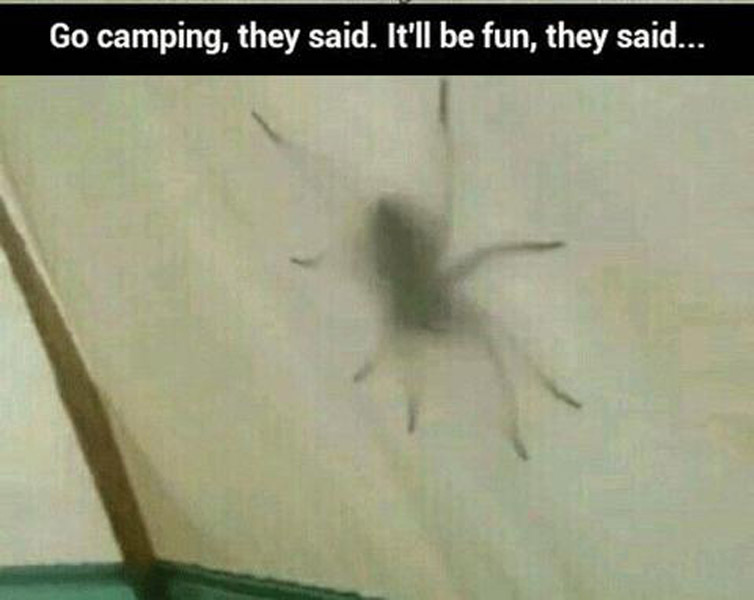 Spotting the shadow of one of the biggest spiders (not even sure that’s a spider) on top of your tent is horrifying. It almost makes you not want to step outside anymore. The fear of one of these creatures creeping up on you can be too much to bare during your trip. The best thing to do is to set the whole camp grounds on fire (joke). The idea of camping is to be out in the wild and for things to be as peaceful as they can get with nature. Fishing at the river, sleeping under the stars, and your random shouts from your neighboring tent. The latter isn’t supposed to happen. No one wants to hear random screams while they’re supposed to be enjoying their time out. They may have put out a sign warning others there isn’t anything to worry about, but not others have to worry about their peace. As long as it takes and as hard as it might be, putting up the tent is one of the rewarding things about camping. It’s going to be your new home for the next few nights at least, so you have to get used to it. However, we think it would be hard to get used to this tent. These are supposed to help keep things out, not invite them in. This person’s trip is over before it started. 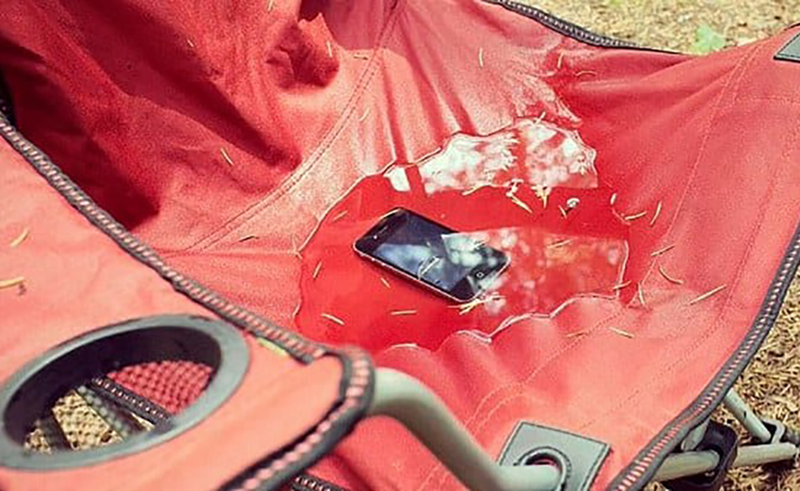 When you’re out camping, the number one rule should be no phones unless for emergencies. That’s the bottom line. You won’t be able to enjoy everything as much if you’re busy paying attention to whats on your screen. That’s why these kids sitting in a half circle are failing. 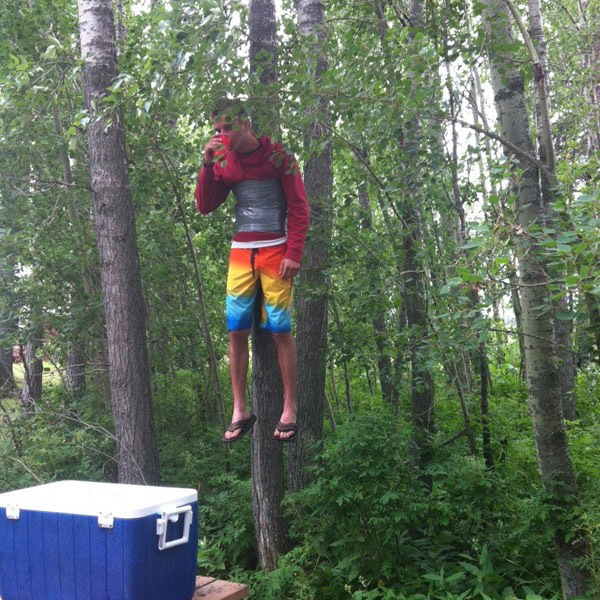 Someone had to get a picture of this to show others what a camping fail looks like demonstrated by five youngsters. One day these kids will learn a thing or two. Okay, whats going on here? 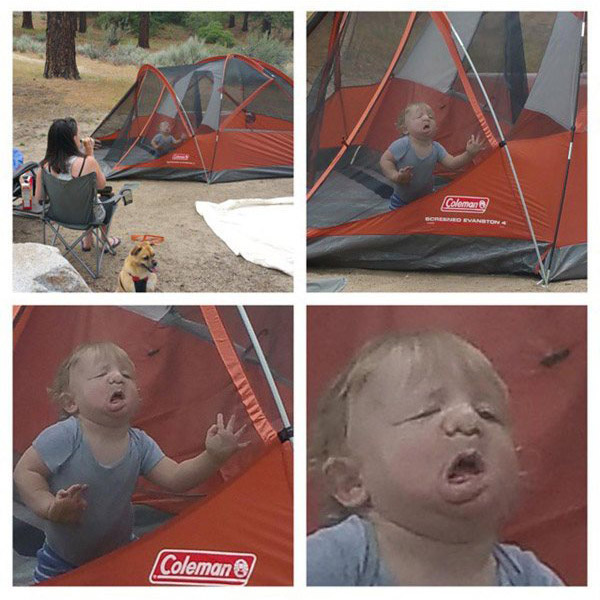 We see a baby trying to escape what looks like a tent with an air mattress as a divider. Perhaps there’s more to the story. Maybe they wanted to sleep on the mattress. Once they learned that the mattress wouldn’t fit, someone tried to take it out and then it got stuck. We don’t know the exact situation but it looks like one big fail to us. Someone get that baby out of there. Would you call this a fail or a really good prank? We’re going to go with both because this kid had to have agreed to getting tapped up here like this. They even gave him a cup of water to enjoy as he hovers above the Earth-walkers. Another reason why this is a fail because if something that can jump that high or fly comes by and he’s stuck like that, he might be in for a rude awakening. Don’t Go To Sleep To Early! This is what happens when you go camping with either a group of strangers or a pack of friends that know you too well. Falling asleep early is never safe for anyone in any environment. 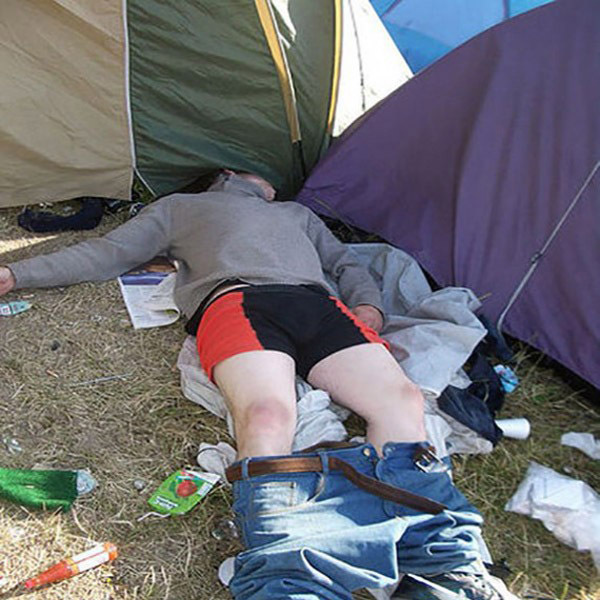 Let it be at a party or camping, something embarrassing is bound to happen to you depending on the group of friends you have. This guy happened to get his pants taken down in the middle of the day. How classic is that? Have you ever seen your pet or another person’s pet run into the glass door? Well, that’s whats happening here. This baby didn’t know what hit them at this moment. We’re glad someone was able to get this all on camera. The screen is meant to let you look out while you’re in the tent, but it doesn’t mean that it’s transparency is completely baby proof. At least it doesn’t hurt as much as a glass door. While not everyone has a set style on how they should camp, it goes without saying there are things you need to avoid. Trying to find wild life that can destroy you (bears, wolves, etc…), and jumping on fires are two hard nos. This guy must have missed the memo on that one. We don’t know how much this hurt or if he even survived but we hope that he did. There’s no telling how much he got burnt. We all have that one friend who always overdoes it. You know the type — the friend you can always count on to get way, way too drunk no matter what the occasion. This guy is that friend. We bet he and his friends were excited to spend a weekend reconnecting with nature. They would sit by the fire, grill some burgers, and enjoy a beer or two. Unfortunately, by the looks of it, this guy enjoyed at least six of those beers. There is nothing quite like camping during a torrential rain storm to make you never want to go camping ever again. These poor campers were probably enjoying themselves at their camp ground — that is until mother nature decided to strike. We can see it now: it started pouring and then came the wind. Before you know it, the tent was rolling and then it was airborne. When it finally crashed into this fence, it was too late. Now it’s full of mud. We recommend just throwing the whole thing away. 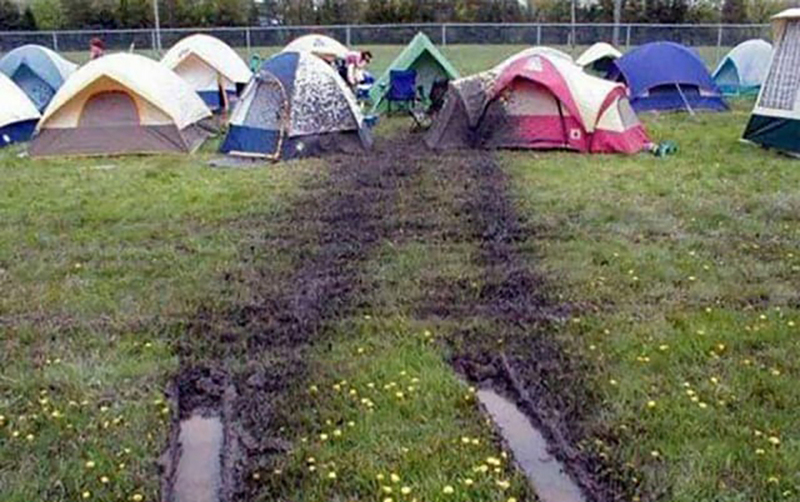 If you’re a fan of music festivals, then you know that festival camping is just part of the territory. If you want to enjoy seeing some of your favorite artists in one place, you better be ready to camp among a sea of people. To us, this looks like a nightmare. First of all, there is no shade. Since most music festivals are held in the summer, you know it’s hot. Second, camping is all about getting away from people. Not having 100,000 neighbors. Hard pass. An unspoken rule of life is to never, ever fall asleep first when you’re around your best friends. If you do, you’re going to end up covered in something unpleasant while your friends put up embarrassing photo evidence on social media. 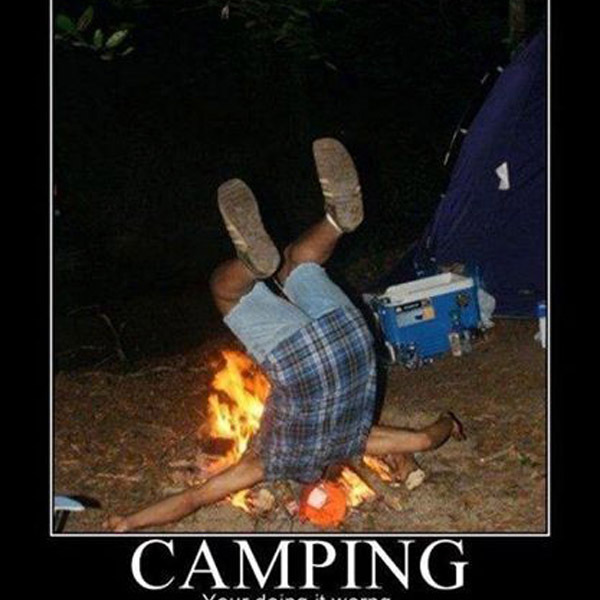 This holds true when camping. 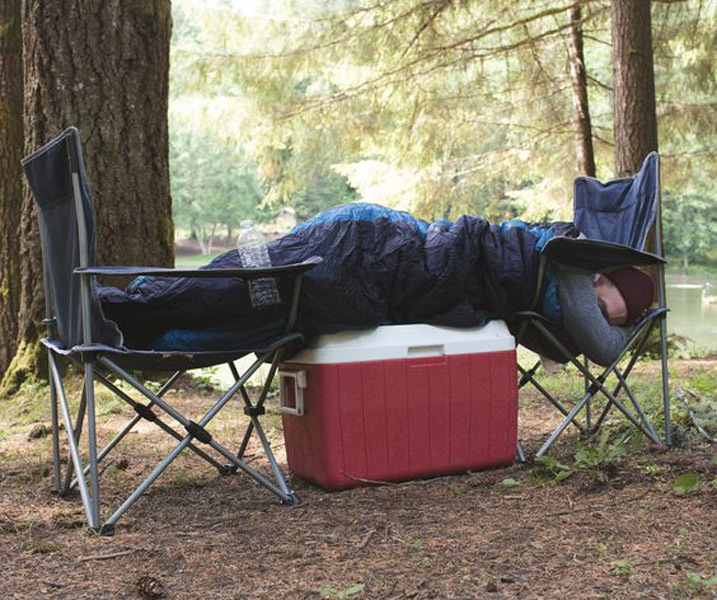 Just because you’re in the great outdoors doesn’t mean you’re exempt from pranks if you fall asleep first. Take it from this guy whose friends did this to him. When it comes to camping, the tent is arguably the most important factor. Without a proper tent, you’re not going to be protected from the elements. You can also kiss having a good night’s sleep goodbye since you’re probably going to be up all night worrying about a bear eating you alive. 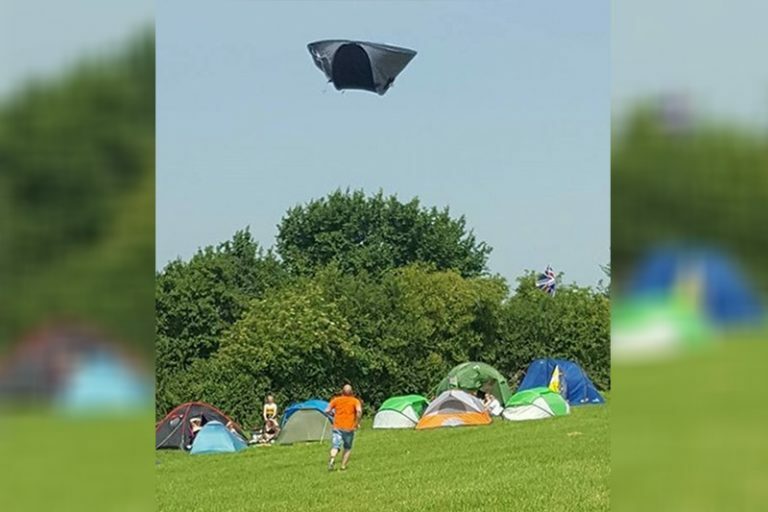 So we can only imagine how this man must have felt when he saw his tent blowing away. We just hope there wasn’t anything valuable in there!